MILWAUKEE — Milwaukee Police are asking the public’s help to track down a thief who robbed a garage on New Year’s Day on the west side. 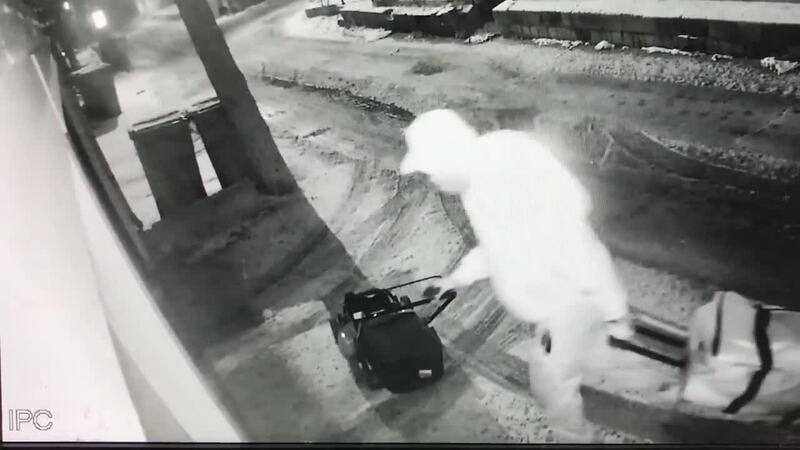 Police say a man stole a $200 lawn mower and a $50 handheld air compressor from an unlocked garage near the corner of Sherman Boulevard and Lloyd Street near Washington Park. Police described the suspect as a black male, 30-40 years old, medium build, short beard, last seen wearing unknown color winter jacket, unknown color pants, and backpack with two digital reflective stripes. Police also released camera footage of the thief stealing the lawn mower. If you have information about this crime, please call police at 414-935-7360.